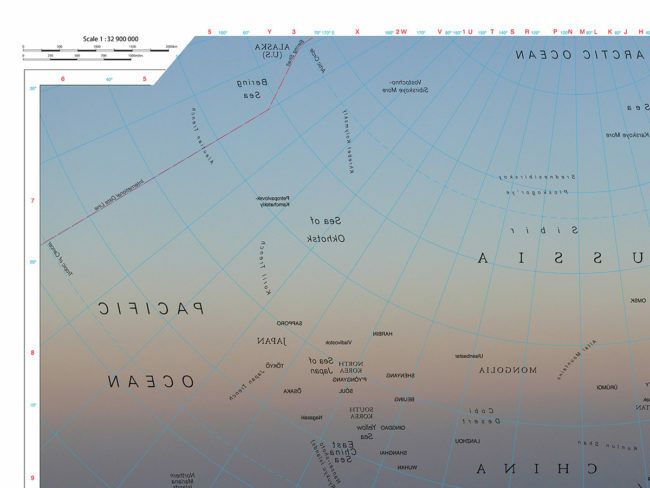 Maps of a geographic Atlas are redrawn in a way that their information (e.g. 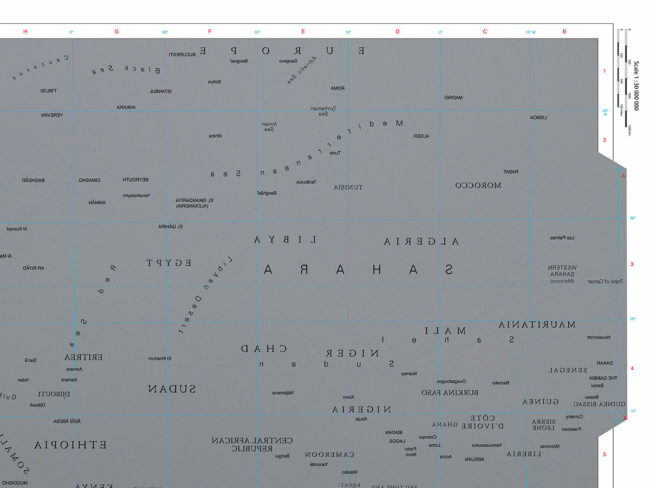 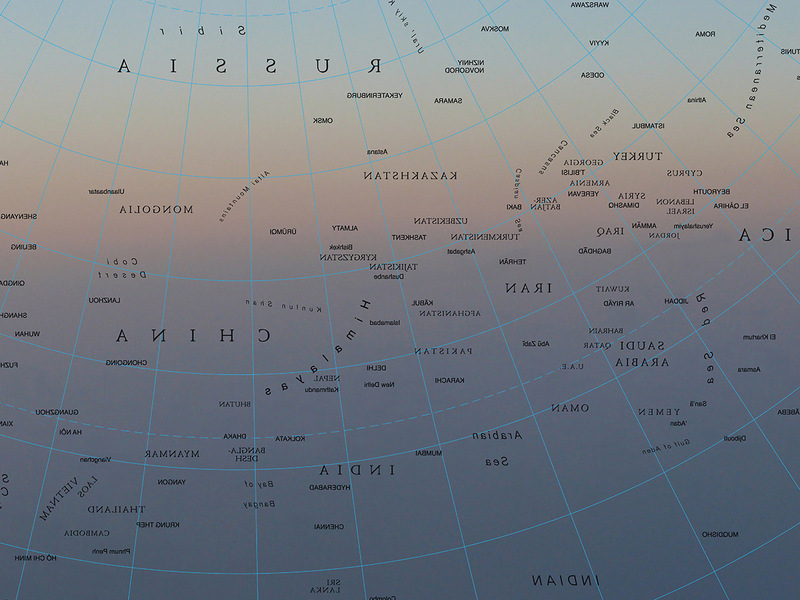 names of cities and countries) appears inverted as if somebody was looking from inside the map toward the sky. 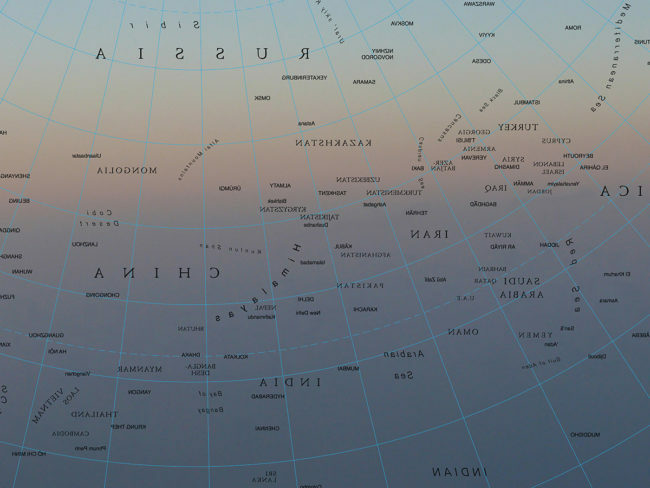 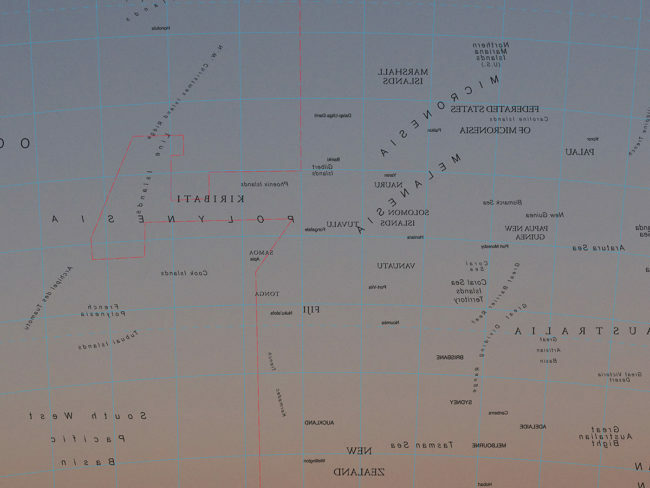 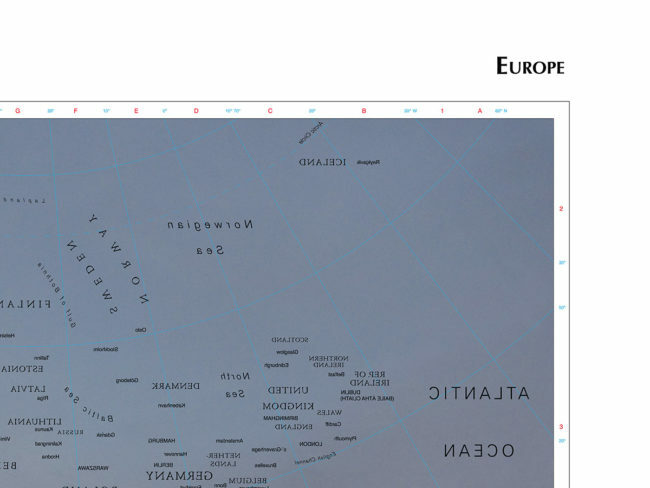 In the place of geographies, each map shows a different picture of a sky. 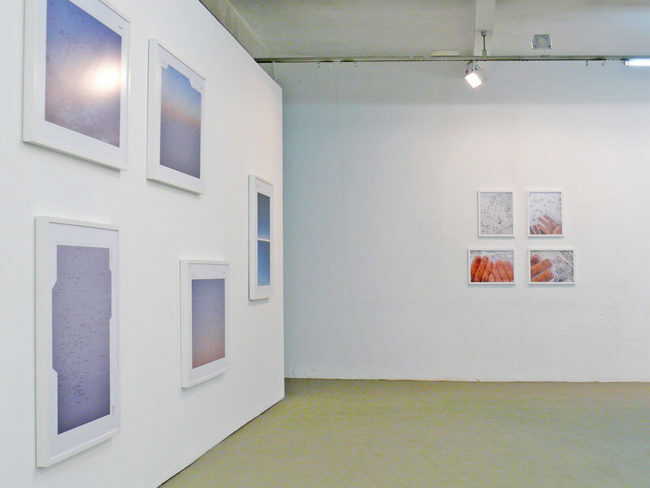 Details of Atlas of the Blue Sky (world) and exhibition Palavra Perdida (Virgilio Gallery, São Paulo, 2008).